Bug in Central Elections Committee computerized system creates distorted presentation of bloc percentage data; fate of New Right at stake. 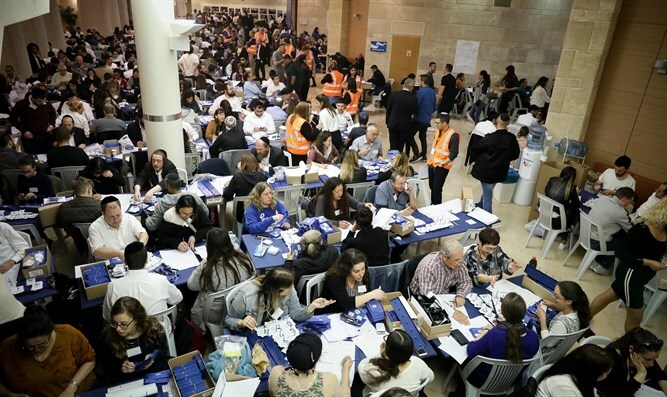 A discrepancy of slightly more than 60,000 votes between the summaries of the valid votes of all parties in the elections and the number appearing on the committee's website may decide the fate of the New Right Party. According to data appearing on the Election Committee's website from early morning, the New Right Party received 3.26 percent of the vote, while the electoral threshold stands at 3.25 percent of the vote, meaning that it exceeded the threshold. 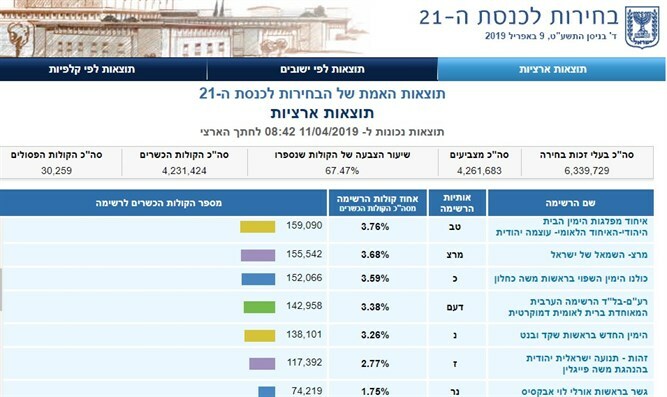 However, an examination of total valid votes granted to all parties running in the Knesset elections shows the number at 4,291,707, while the number of valid votes appearing on the website is 4,231,424. This gap of 60,283 votes may decide the fate of the New Right Party, whether it will pass the threshold or remain below it. The Central Elections Committee said this morning that the double counting of envelopes had ended, and that the computer system was now testing itself to ensure the integrity of the elections, and results would be delivered during the day.